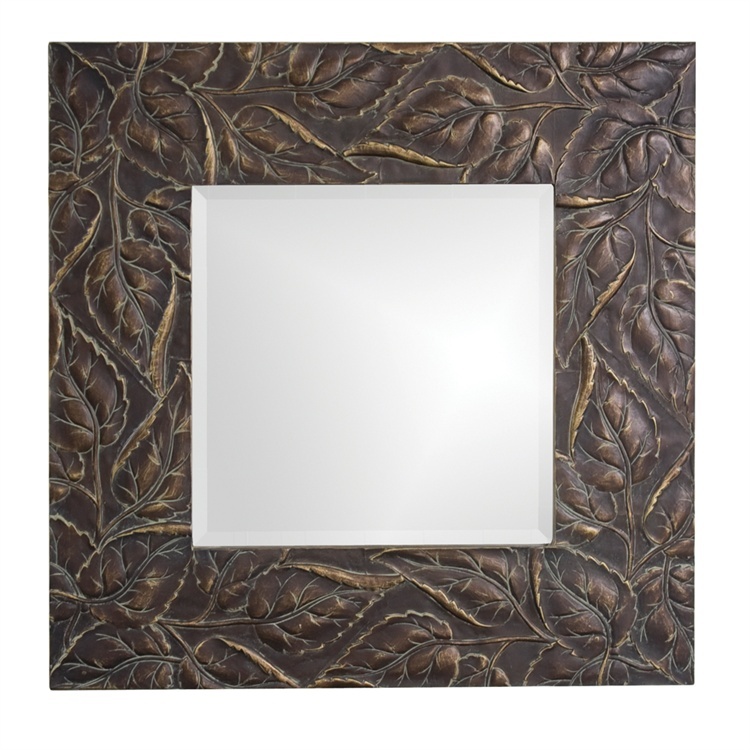 The Vanderbilt Mirror is a beautiful piece featuring a square wooden frame embellished with a relief vine pattern. The Traditional design is finished in a deep merlot accented with verde and whitewash highlights. This stunning piece would be a great addition to any design. Alone or in multiples, it is a perfect focal point for any design. Hang in either a square or diamond orientation. Customizable for larger orders.